Another semi real fanart, this time is Hyuga Hinata. I'm not a fan of Naruto, but this is so excellently well made! This looks very nice. 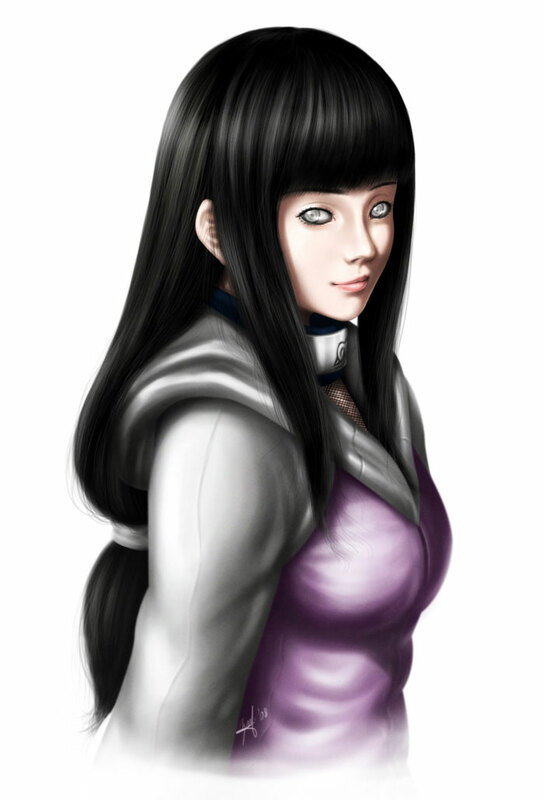 Hinata looks a little less innocent (for some reason), but I like your interpretation. Great job on the colors, but I think the top of her head might be a tad too long/high. How did you do that? with photoshop? Wow, cool man.. But the hair looks too bigger a little..
una pic bastante bien hecha me gusta!